Security guard business reporting systems have evolved. First it was hand delivering reports with paper-clipped Polaroids, sometimes taking a week or more to get to a client (often without the pic by then), then it was emailing reports; better, but still taking hours a day, and all the more the larger you are. Finally, it is the “Client (reporting) Portal”, making guard business reporting a breeze by giving each of your customers their own private database of reports, accessible from anywhere. 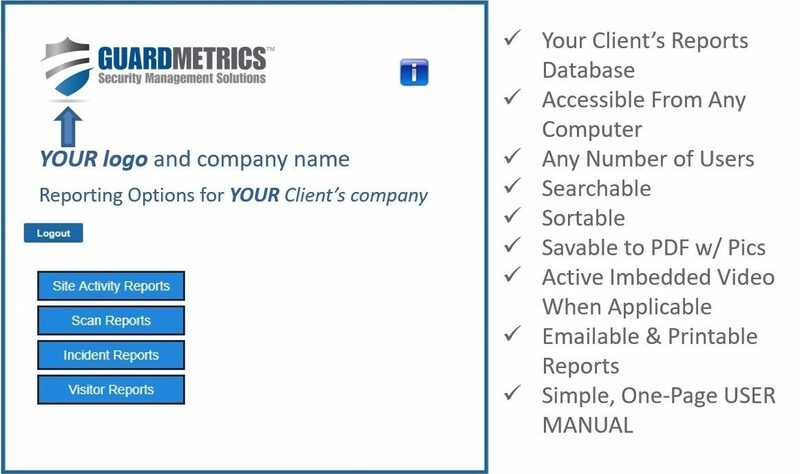 GuardMetrics takes the idea of a client portal a step further. Not only can your customers search, save and print their own reports using any simple filters they wish, but it is all branded to your security guard business! Your client’s never needs to know we exist. As far as they are concerned, this is your system; even more reason for them to stick with your security guard services. And it really is as simple a guard business reporting system as possible. 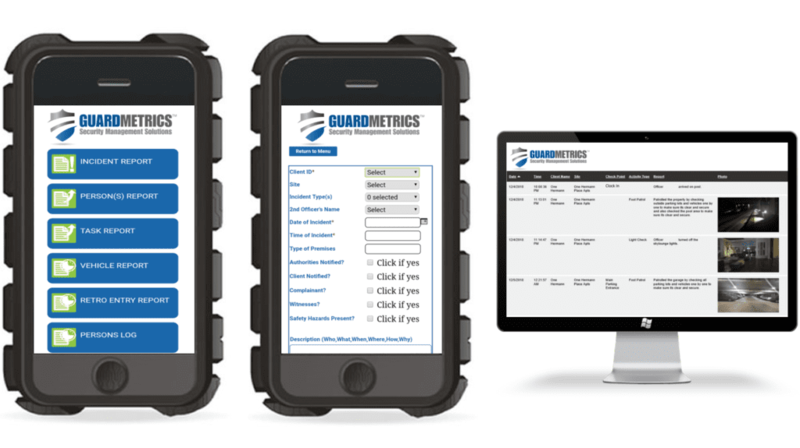 We include a one-page User Manual, for any of your customers who know very little about a computer, but for the average customer, the GuardMetrics client reporting portal is going to make receiving your professional, branded security guard business reports incredibly simple, and better. It starts when your mobile patrol officers and your security guards on their daily tours collect information through the simple GuardMetrics security guard app. This app was designed by experts in security guard business reporting, so it truly is as user-friendly as can be. 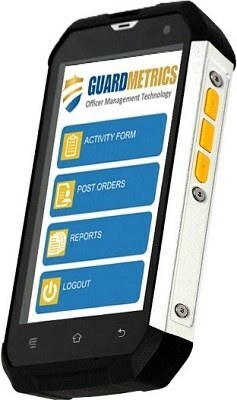 And like any aspect of the GuardMetrics officer management system, there is a convenient User Manual at your officer’s finger tips, as well as a Support line to call. This mobile reporting and GPS tracking app also uses very little data, so it won’t burn up your battery or data cost! The activities and reporting that your security officers perform while on patrol all feeds into your system in real-time, where you then have the option to edit and approve the reports, or have them feed into your Client’s reporting Portal in real-time as well. Security guard business reporting has never been easier. With their own database, your client no longer needs to look for an email every day, save it to a file on a computer, and likely be unable to locate it if they are told by their boss to “pull up the incident report about such-and-such a couple months ago”. Now they have a completely searchable database where all their reports remain stored until they need to save them or email them to someone else. And your client will rarely need to email them to anyone on their side anyway, because the Client Portal is accessible from anywhere, by any number of personnel authorized by that client! And sending reports to your security guard business customers has never been easier either. As briefly mentioned above, you have the option to approve daily activities, or incident reports, or both, or neither! If you are comfortable with all your officer’s reporting abilities, you can opt NOT to approve activity and incidents before they go to your client; in which case, all activity—scans, activity reports & Incident reports—feed into the Client Portal in real-time. Or, you can choose to approve you guard’s reports before your client gets them. The reporting approval process is simple and fast (a whole lot faster than emailing!) and will be covered in your on-boarding training, which takes about an hour, to fully deploy the system.